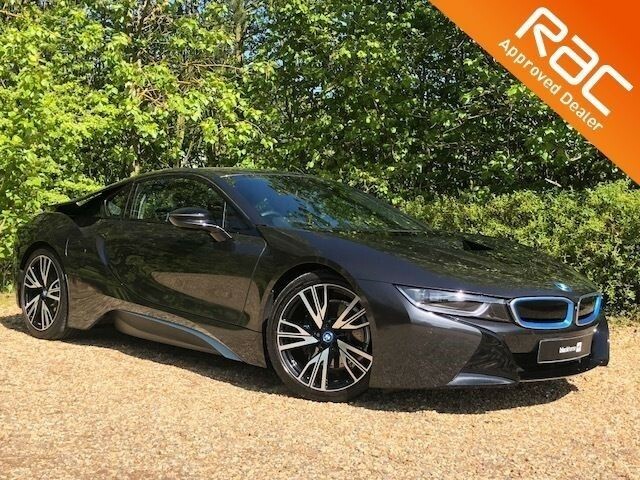 Stunning BMW i8 in GROUP stock for sale and available to buy from this branch. Call us on 01767 680987 to book your viewing. This BMW's i8 was the world's first carbonfibre-made, plug-in hybrid-powered sports car. A car that took the sports car game a whole next level. 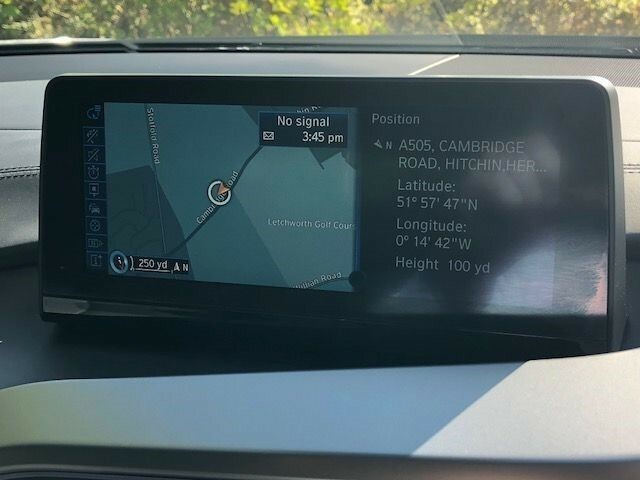 Here at Mastercars we are embracing the Hybrid cars and this I8 has been added to our collection, its also fits in our sports and performance category. 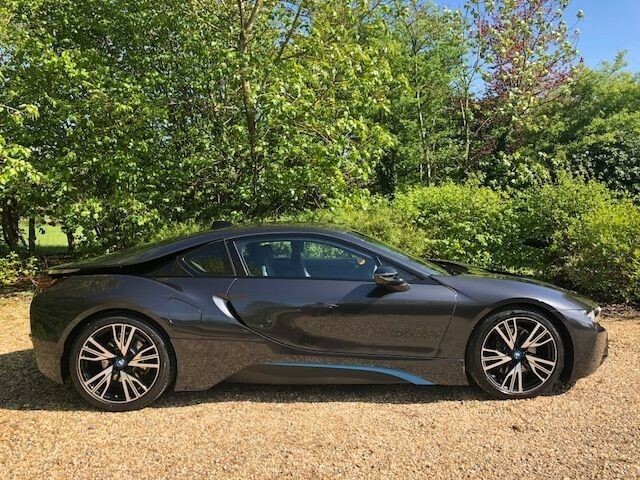 You may think a sports car with a v8 ect but the BMW i8 fitted with 1.5 Turbo charged engine, and a battery powered Hybrid System, 0-60 in only 4.4 Seconds, that's on par if not quicker than a Porsche 911. 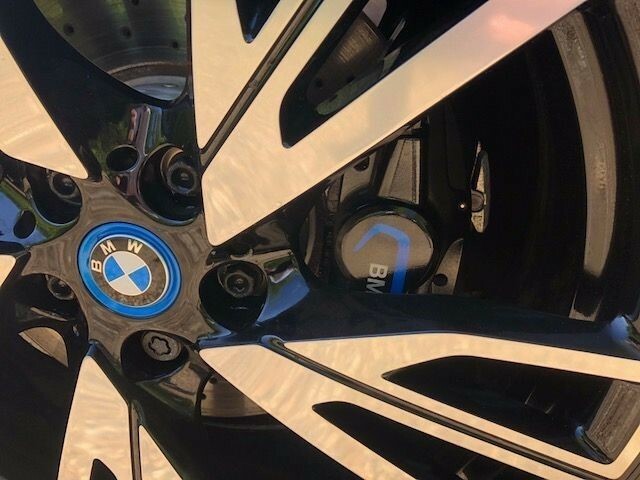 It gets even better, BMW claim the combined economy of 134mpg!! Where else will you find a car that looks like this and as quick as a 911 that will do 0-60 in under 4.5 seconds. 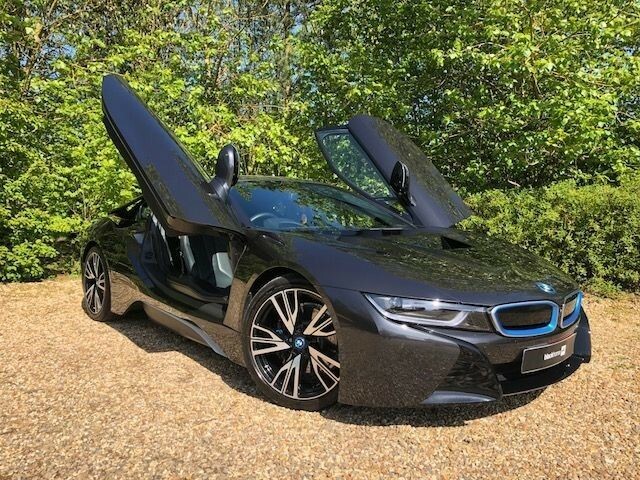 With its futuristic looks they have done well with the interior too, our I8 has the Interior World Carpo Package so Full Leather and Anthracite Headlining, also has the Upgraded 20" BMW W-Spoke 470 Alloys. This car was £115,000 New and we have for sale at just over Half price, huge saving. Still has a balance of Manufacturers warranty up till 22/03/2019 and Hybrid Warranty until 22/03/2024. Fitted with a huge specification this isn't one to be missed. Check Your Credit Rating For Free No need to stress with us as you can Check your Credit Rating for FREE on our website by clicking on "Get Your Free Credit Check" and without it showing on your Credit File. How easy is that and No embarrassing moments or questions in the dealership. Its not an application its just information required to match your credit rating to a lender so we guarantee to get you the car finance deal you want Part Exchange Welcome We Guarantee your old car will be your full deposit pushed pulled or towed saving you the stress and worry of selling it. Warranty Upgrade Using Finance If you buy your next car using finance make sure you ask the staff to quote you to Upgrade your RAC Warranty to 3 years. We can add the cost of your warranty upgrade to your finance, so you can spread the cost for the full term. This will offer you peace of mind and controlled motoring expenditure for the term you own the car. Drive Away Within One Hour We can get you approved for Car Finance and paid out within an hour with our express service. This even includes time for a road test and inspection of all the RAC reports and completion of all the handover paperwork.